Though his team lost to Forest Lake by one run on May 3, Park of Cottage Grove coach Bob Loshek was confident in the Wolfpack's ability to bounce back in the rematch on Tuesday. Loshek's belief was confirmed with a steady performance at the plate by his team, as Park did not waste opportunities with runners on base and knocked off Forest Lake 7-4 to hand the Rangers their first loss of the season. Loshek's confidence wasn't tested despite a dream start for Forest Lake (17-1, 14-1). The Rangers, ranked No. 3 in the Class 4A coaches’ poll, took a 2-0 lead in the top of the first inning on the types of plays that can crush the spirit of opponents. Senior center fielder Avery Jorgenson drew a walk and then scored when junior third baseman Claire Bakkestuen sent a ball over the center-field fence -- clearing the border by just inches. Park of Cottage Grove (17-1, 14-1) quickly answered with an scoring outburst of its own. Delaney Young drew a leadoff walk in the bottom of the first, something the senior shortstop is used to doing for the No. 4 Wolfpack. She has 29 walks this season, including 15 intentional. After a pair of Forest Lake errors put runners in scoring position, Park senior catcher Saren Croker tied the game with a two-run single. But Park of Cottage Grove wasn't finished crossing home plate. The Wolfpack added runs in four of the game's seven innings, including a three in the second inning. The rally was fueled by senior first baseman Heather Degler's two-run home run and proved to be the difference in the game. Park of Cottage Grove’s offensive damage came mostly against one of the state’s best in Rangers senior pitcher Megan Baniecke, who entered the matchup boasting a 1.12 ERA this season. She limited her earned runs, finishing with just two, but lasted only three innings and allowed six hits and a walk. While the Wolfpack consistently threatened on offense, they used a solid performance from pitcher Bryanna Olson to keep the Rangers from adding to their run total. The Park junior held Forest Lake scoreless until fifth inning. Olson was knocked out of the game in the fifth as the Rangers mounted a scoring threat. 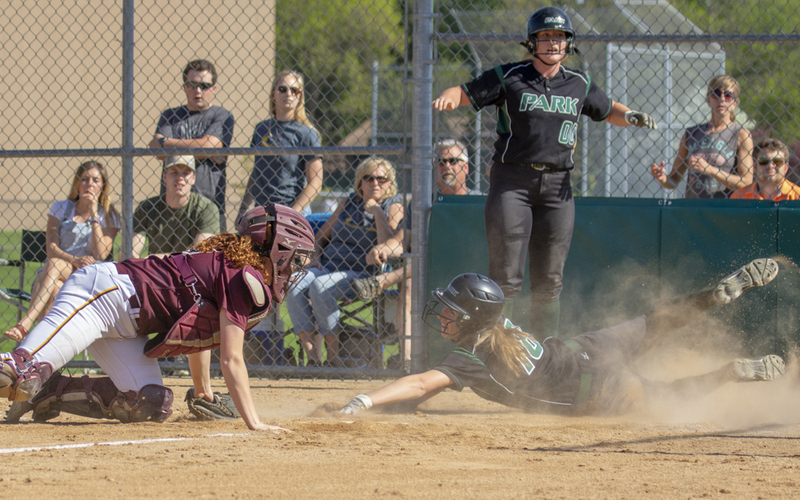 But the Wolfpack ended it after turning to sophomore pitcher Samantha Fohrman, who finished off the game in relief and helped Park of Cottage Grove hold its lead. A lack of offense and some rare struggles in the field contributed to the Rangers’ loss, and Forest Lake coach Sean Hall believes his group will use Tuesday's game to its advantage. The victory moves the Wolfpack into a tie with the Rangers atop the Suburban East Conference standings as the regular season is coming to a close. Each team has one league game remaining, and if both win out, they will split the conference crown. After falling to Forest Lake by one run on May 2, Park of Cottage Grove got its revenge on Tuesday and gave the Rangers their first loss of the season with a 7-4 home victory. With the win, the Wolfpack climb into a tie with the Rangers atop the Suburban East Conference standings. Each team has one league game remaining on its schedule. Park, which is ranked No. 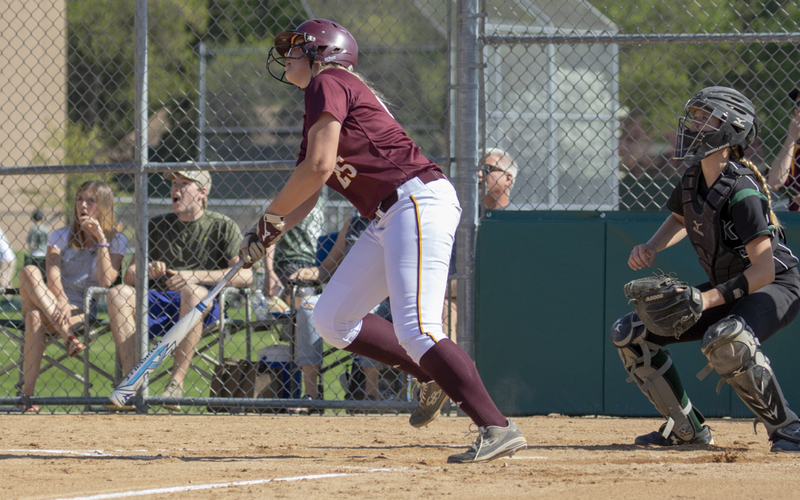 4 in the most recent Class 4A coaches’ poll, trailed 2-0 after Forest Lake junior third baseman Claire Bakkestuen hit a two-run home run the top of the first inning. But the Wolfpack quickly rallied in the bottom of the inning thanks to a pair of Rangers' fielding errors, which put runners in scoring position prior to senior catcher Saren Croker's at-bat. She didn't waste the opportunity, knocking out a single that scored both baserunners and tied the game at 2. 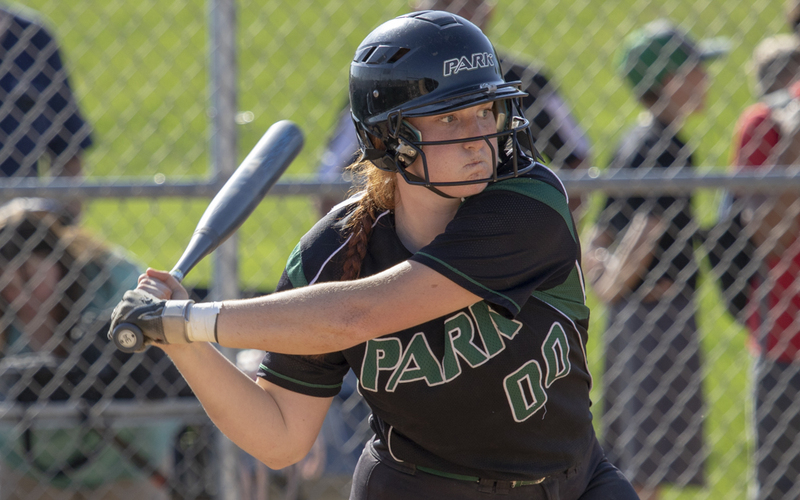 Park added three more runs in the second inning, capped by senior first baseman Heather Degler's two-run homer that gave Park of Cottage Grove (17-1, 14-1) a 5-2 lead. From there, the Wolfpack held on as the Rangers attempted a comeback. Forest Lake scored two runs in the top of the fifth, but Park answered with a run in the bottom of the inning and added another in the sixth. Park junior Bryanna Olson got the win after allowing four runs (all earned) and striking out nine in pitching 4 1/3 innings. Samantha Fohrman pitched the rest of the game in relief. Senior pitcher Megan Baniecke took the loss for No. 3-4A Rangers (17-1, 14-1). She gave up five runs (two earned) on six hits and struck out one in pitching just three innings. Bakkestuen finished the game in relief.